South African bank charges are some of the highest in the world, even though the country has many low-income earners. The good news is that bank charges have decreased in the past year, according to research conducted by Solidarity (a South African trade union). Of the five largest commercial banks (Absa, Standard Bank, First National Bank, Capitec, and Nedbank), all banks except Nedbank lowered the cost of almost all their accounts. Since 2010, Capitec has been the bank with the lowest bank charges. In 2012, Capitec lowered its charges even further. The Solidarity study compared personal bank account charges for the five largest commercial banks in South Africa, with Capitec’s Global One account emerging as the account with the lowest bank charges across the board. The cheapest account option at Nedbank is the Savvy Electronic account. The Solidarity study averaged the monthly charges for this account at R112.61, an increase of 4.5% from R107.79 in 2011. In comparison, Capitec’s cheapest account option (the Global One account) had average bank charges of R55.50 per month. This amount lessened from R66.00 in 2011, a dramatic 15.9% decrease. 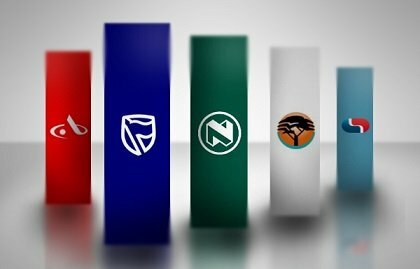 The Solidarity research group found that Nedbank charges are the highest overall, followed by Standard Bank at the second most expensive, Absa sitting in the middle, with First National Bank the second cheapest and Capitec with the lowest bank charges of the five major commercial banks in South Africa. Capitec has been able to maintain the top spot as the cheapest bank over the last three years due to its low bank charges and the high interest awarded n positive account balances. At the moment, Capitec will pay customers an interest of 5% on balances under R10, 000 and a 4.25% interest rate on customers with balances exceeding R10, 000. These interest rates on chequing accounts are actually higher than many interest rates paid by other banks on savings accounts. Overall, the bank charges across nearly all account from FNB, Absa, Standard Bank, and Capitec decreased from 2011 to 2012, and Solidarity Research Institute says that Standard Bank and Absa have made concerted efforts to lower bank charges and make them more competitive in the past year. This is a good sign, as it shows that consumers are more informed and educated about the charges that come off their accounts each month. In fact, the Solidarity report quotes the 2012 Global Consumer Banking Survey conducted by Ernst & Young , which states that 39% of bank clients in South Africa had changed banks , with 13% indicating that they planned to do so. The year prior (2011), these percentages were somewhat lower, with 34% having changed banks and only 10% planning to change banks in 2011. Additionally, the percentage of bank clients who use more than one bank at the same time has risen significantly from 56% in 2011 to 61% in 2012. One of Standard Bank’s cheapest account options, the Achiever Electronic, would have an average cost of R85.81 per month if it weren’t for the R16 levy charged by Standard Bank for amending or creating stop orders. With this levy included, the average bank charges are R109.81. However, those who do not use this service would not be affected by the additional charge and would have bank fees in the region of R85.81 per month. According to Solidarity Research Institute, the best options for low-cost banking would be the Global One account from Capitec, Absa’s Transact account, and First National Bank’s Easy Plan account. However, some accounts that are marketing towards low-income earners are actually the most expensive in terms of bank charges. In particular, transmission account such as Nedbank’s Transactor Plus, the Smart account from First National Bank and Absa’s FlexiAccount may be marketed as cheap account options, are not actually as cheap as they sound.